Who is Learning to Breathe Abroad? Hi! We are Jeanne & Tai! 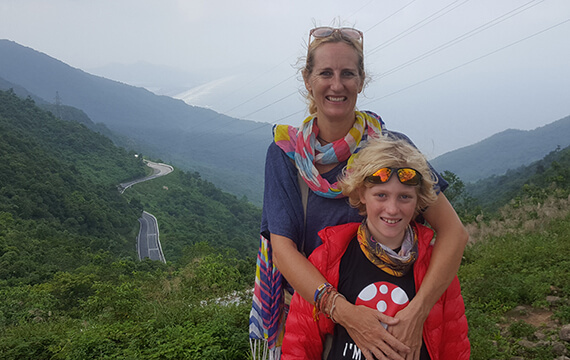 A Mom & Son team traveling, homeschooling, blogging and working our way around the world. Wanting to escape the rat race and desperately trying to find a balance between work and play, I decided to 360 our lives and go traveling. We started our travels at the beginning of 2017 and have been on the road and loving it, ever since. Join us on our travel blog, as we travel to new places, eat exotic food, dance in the rain and look for high adventure wherever we go! Travel Around The World With Us!